Take three servings of established Danish jazz talent, one cup of imported English bassist and a sprig of world class trombone (optional, it tastes great with or without). Mix with bebop and hard bop in liberal quantities, simmer on a stage for a whole gig and serve with style. Simon Thorsen is a graduate of, and teacher at The Rhythmic Conservatory Copenhagen. 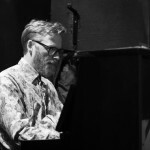 As a busy studio and theater musician Simon has worked with Arturo Sandoval, Thomas Fryland, Ernie Wilkins, Randy Brecker, Lars Winther, Kresten Osgood and many other big names in the Jazz world. 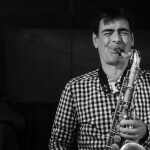 Marko Martinovic is a talented soloist and bandleader, best known for his groups Trioscope and Quintessence both of which have received recognition from the Danish Jazz Awards. He has worked with Chris Potter, seamus blake , Chris cheek and Ed thigpen. 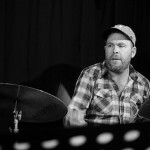 He is currently a member of Nulle og Verdensorkester, Bolberg/Markussen quintet and Fessors Jazzkings. 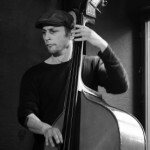 Peter Williams has been a London based session bassist, a traveling circus musician, and a touring jazz artist. He contributed to the Grammy winning soundtrack of Woody Allen’s Oscar winning Midnight in Paris, he leads his own quartet – 2econd Nature – and his compositions are often heard on the radio. Mikkel Find is one of the most talented and sensitive drummers in Denmark. His complete understanding of music allows him to take on almost any role from theater and session musician to jazz soloist. There is almost no one he hasn’t played with.